The importance of visual information is rapidly increasing. Many of your work processes already require a wide range of spatial data together with good visual intelligence. Our EyeVi technology provides you much needed tools to better understand both urban and rural environment. EyeVi is a web-based application that allows its users to observe urban and rural environments, perform measurements, collect data and share information. All that without even leaving the office! The EyeVi technology has been used in Estonia, Kenya (VIDEO), Mauritius, Vietnam, Saint Lucia (story in our blog) and several other countries worldwide. Our technology uses 360° camera and LIDAR scanner. With the car-mounted mobile mapping systems, we collect four different datasets simultaneously and combine these into 3D environment at engineering grade accuracy. With more and more digitalised data, city administrations face a challenge of updating and verifying geodata. EyeVi panorama view provides tools to change, update and verify different types of geodata. Maximise your work efficiency by getting EyeVi API to your GIS software! Road asset management systems need a constant flow of information to operate and optimize short and long-term road maintenance planning. 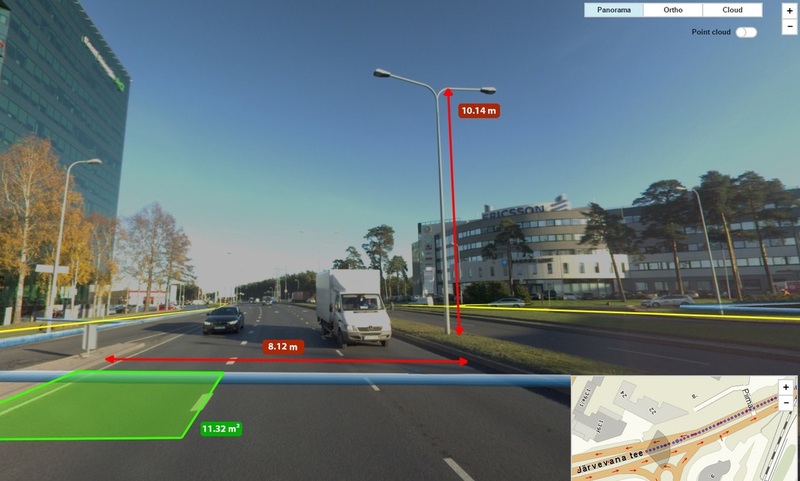 EyeVi provides this dataflow by extracting the necessary information about attributes and road conditions from image, point cloud and IMU sensors, combining all this with IRI values. It gives excellent possibilities to collect data, perform 2D measurements and analyze situation together with your own dataset. Orthophoto view can also be used separately from EyeVi software through WMS (web map service). or import/export .csv, .shp, .tab, .dwg or other formats. 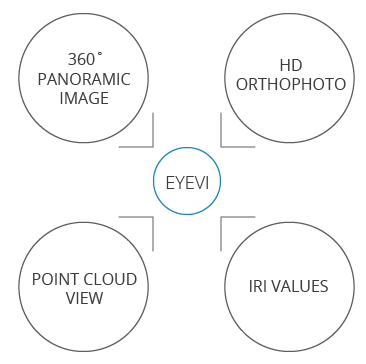 Read more about EyeVi in our blog. © Reach-U. All rights reserved.